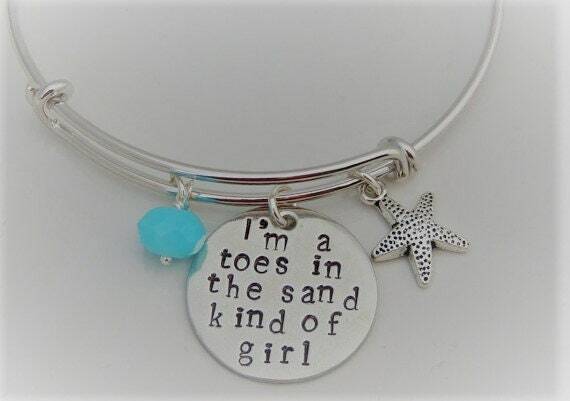 This listing is for an expandable bracelet that includes a round pewter pendant with the saying, "I'm a toes in the sand kind of girl" hand stamped across the pendant. 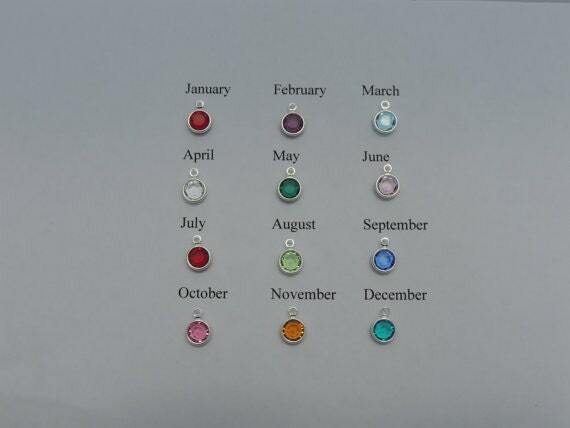 It also includes your choice of a pewter charm and your choice of a blue faceted glass drop or Swarovski crystal birthstone charm. 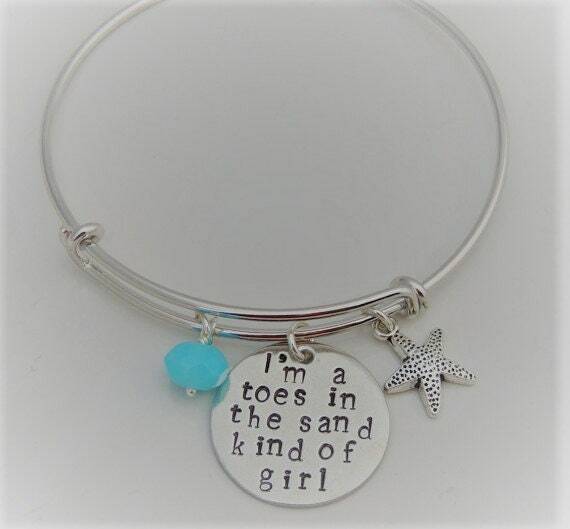 This bracelet is also available in sterling silver. 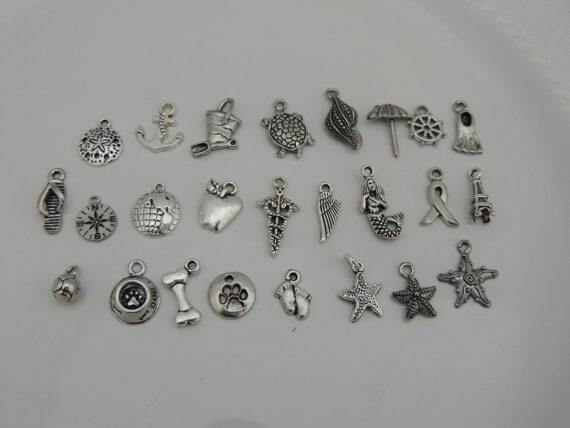 Please message me if you would like to order this in sterling. Thank you! 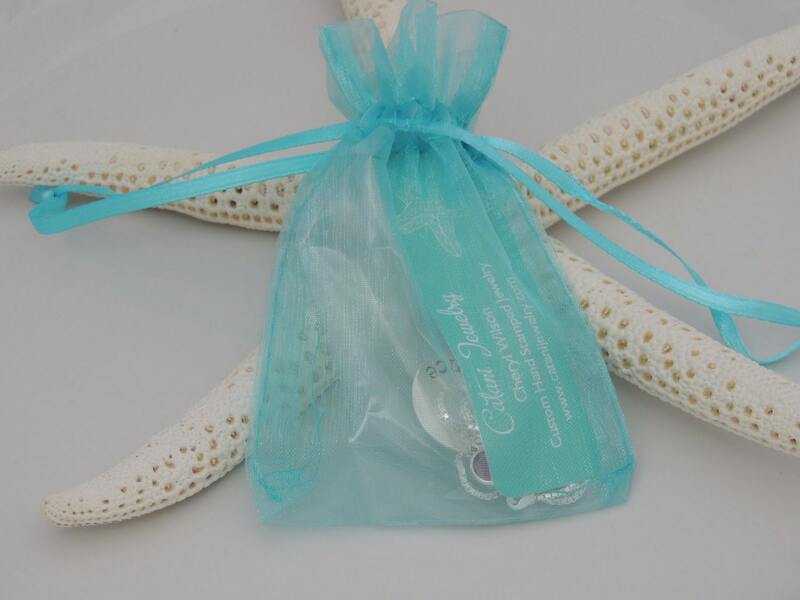 This bracelet is beautiful and beautifully packed with a very nice handwritten note. Perfect. Will definitely be ordering more from you. Love it! Got it for a friend and I cannot wait to give it to her!